Alex Ross has quite rightly highlighted the absence of any women composers in the New York Philharmonic's 2011/12 season. That programming faux pas is a reminder that Nicholas Kenyon famously created an entire BBC Proms season without any music by women, for which he received a knighthood three months later. Elsewhere there has been some, but not enough, progress towards gender equality in classical music. But, with a few notable exceptions, the symphony has remained an all male preserve. 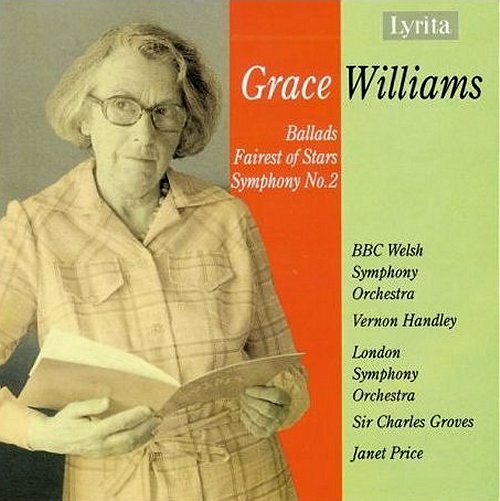 One of those notable exceptions is the muscular Second Symphony of the Welsh composer Grace Williams. 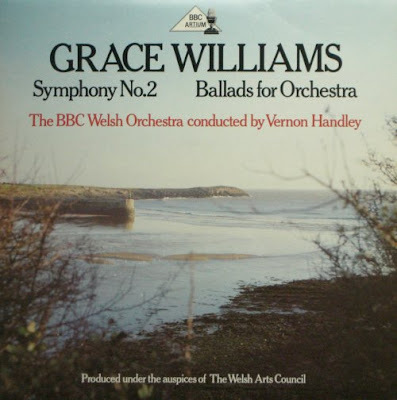 This was recorded by Vernon Handley, who never received a knighthood for championing women composers, and the (then) BBC Welsh Orchestra for the long defunct BBC Artium label and the recording was issued on the 1980 LP seen above. This important 20th century symphony has proved its enduring merit by living on in recorded form under license to the Lyrita label where it is available on the CD transfer seen below. ... do not be taken in by the fact that she may look like a sweet little old lady, who would'nt say boo to a goose! Her music is beefy, masculine, very passionate, and packs a fair old punch. Recommended with all possible enthusiasm. The New York Philharmonic regrets to announce that Gustav Mahler has been forced to withdraw from the concerts featuring his First Symphony on April 12-17, 2011 due to over-exposure. However the orchestra is delighted to announce that Grace Williams has agreed to take Herr Mahler's place at short notice with her Second Symphony. The rest of the program is unchanged. * The BBC National Orchestra of Wales continues to champion Grace Williams' music and performed her Sea Sketches at a BBC Prom as recently as 2008. The adventurousness of the BBC orchestras increases in direct proportion to their distance from the Radio 3 offices in London and I do wonder if the abrupt departure of the immensely talented Ilan Volkov from the post of chief conductor of the equally immensely talented BBC Scottish Sympony Orchestra was because he programmed Jonathan Harvey and Morton Feldman instead of his centrally allocated quota of Mahler and Shostakovich symphonies. ** Now, who was the New York Philharmonic's first woman conductor and who was the first woman to conduct a BBC Prom? Wish they had played Bax's 5th Symphony."